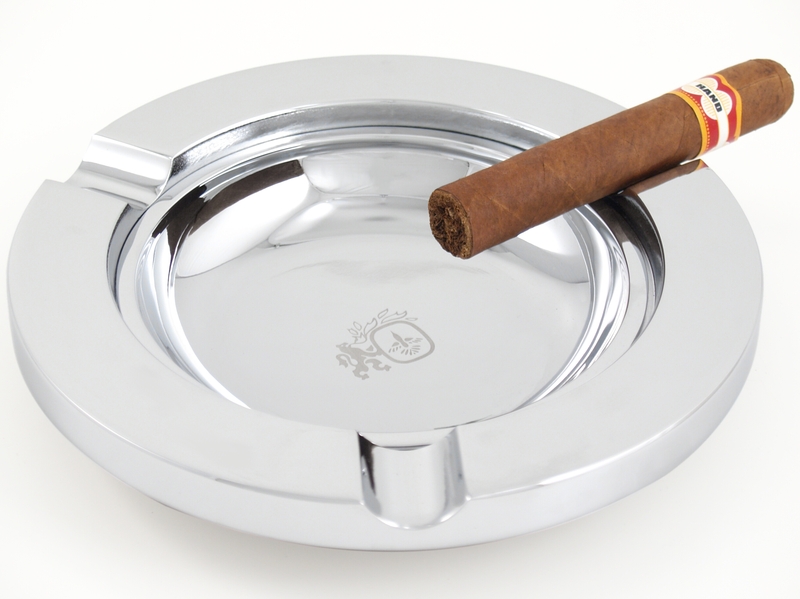 Relax in style with this Colibri three cigar ashtray. This sleek gunmetal ashtray from Colibri features sophisticated styling and a non-skid rubber base. The round ashtray is notched to hold three cigars up to 62 ring gauge and the lift out center makes cleaning out ashes a snap. Comes packaged in a handsome Colibri gift box, and makes a great gift!